Posted on Wednesday, May 27th, 2015 at 7:27 am. Boxing360 is launching its first pick of the week. This is something our team is doing strictly for entertainment purposes only. We pride ourselves on being knowledgeable on the sport of boxing and its fighters. So we are going to put this knowledge to a test. Each week we will look to select at least one fight and choose who we feel will win the fight. We will attempt to stay away from fights where one fighter is heavily favored unless we feel the underdog can pull off the upset, Sometimes there may be a light schedule of boxing in a week and we may be left with the option of choosing a heavily favored fighter. We will keep track of final outcomes and briefly speak on it the following week whether our pick wins or loses. Your comments and feedback are more than welcome. We have no problem with you giving us your honest thoughts and opinions. The fight we have chosen for this week is the IBF world flyweight title fight between champion Javier Mendoza (23-2-1, 19 KOs) of Tijuana, Mexico and former world title challenger Milan Melindo (32-1, 12 KOs) of the Philippines. Their main event will take place this Saturday in Campo Nuevo Ensenada, Ensenada, Baja California, Mexico. Mendoza has been placed as a solid favorite to retain his crown. Our pick is Melindo to pull off the upset and win his first world title. There are a few reasons why Mendoza is currently the favorite in this fight. One of those reasons is that he is fighting so close to home. Ensenada is only a few hours south of his native Tijuana. Melindo only has 12 Knockouts in his 32 wins. This might lead one to believe he won’t be able to hurt Mendoza let alone stop him. Those who are familiar with Melindo and Mendoza know there is much more to both fighters than their records will show. Mendoza is the defending champion but he has not fought anywhere near the overall competition that Melindo has. In fact the way Mendoza even got his world title opportunity was by process of elimination. The title was vacant and after going through the list of available names in the world rankings Mendoza got the opportunity. Entering the bout Mendoza had not fought in over a year. To his credit he stepped up and pulled off the upset of former world champion Ramon Garcia Hirales in Mendoza’s native Tijuana by decision. Melindo has been on the total opposite course than that of Mendoza. He has been very active throughout his young career and has fought solid competition over the last 4 to 5 years. He truly earned his world title fight vs. champion Juan Francisco Estrada in 2013. Melindo fought the champion close throughout the first half of the fight but it was Estrada who pulled away the second half of the fight to win the unanimous decision. It was a tough loss for Melindo to not achieve his goal that night but he has won three straight since and is more focused than ever to win the title this time. Melindo is not a power puncher but he is stronger than his KO percentage would suggest. Mendoza in contrast is not the puncher that his record seems to imply he is. 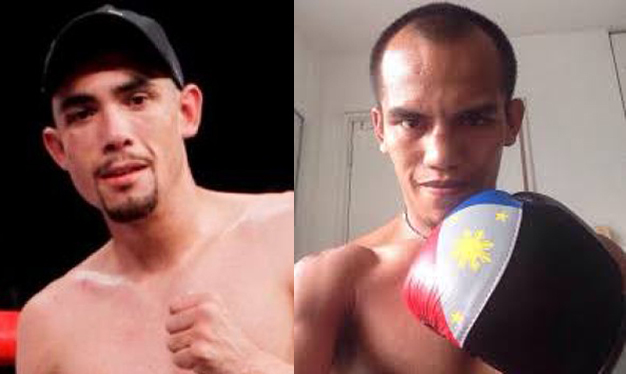 Mendoza is also southpaw but he is not very elusive and should be fairly easy to hit by the right handed Melindo. A strength of Melindo is his controlled aggression. He is very poised for a young fighter and not wreckless. Melindo also mixes his punches well. We feel Melindo is more than capable of stopping Mendoza. We also feel that Melindo will win decisively so that there will not be concerns of a close decision if the fight indeed goes the distance.